Meet our tour guide at the arrival hall, a comfortable car with an experienced driver will take you to Mutianyu Great Wall, which is one of the most famous and beautiful parts but less crowded than others. It has the largest construction scale and best quality. 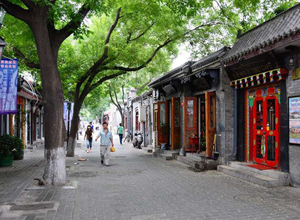 Then drive to Hutong, a place you can’t miss when you come to China, because it is one of the symbols of Beijing. Back to the airport after the tour.